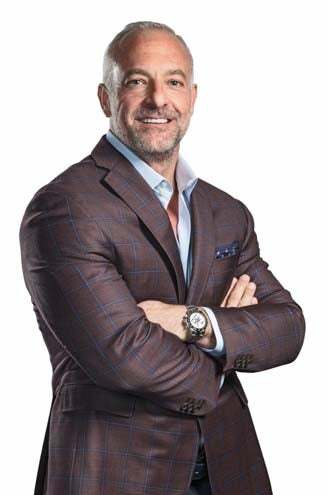 Lorenzo Fertitta, MBA '93, Chairman of Fertitta Capital and Director of Red Rock Resorts Inc.
Lorenzo Fertitta was born and raised in Las Vegas, where in 1976 his father founded a casino business. Lorenzo and his older brother, Frank Fertitta III, assumed leadership of Station Casinos in 1993. They expanded the company into a broader gaming and hospitality business with revenue of about $1.5 billion. In 2001, they acquired the nearly bankrupt Ultimate Fighting Championship UFC) for $2 million, and in an incredible turn-around story, built an empire that sold for $4 billion in 2016. The sale was considered to be the largest transaction in professional sports history. Now, the brothers have turned their attention to Fertitta Capital, a private investment firm they launched in 2017, which invests in consumer-facing companies in the technology, media, and entertainment sectors. 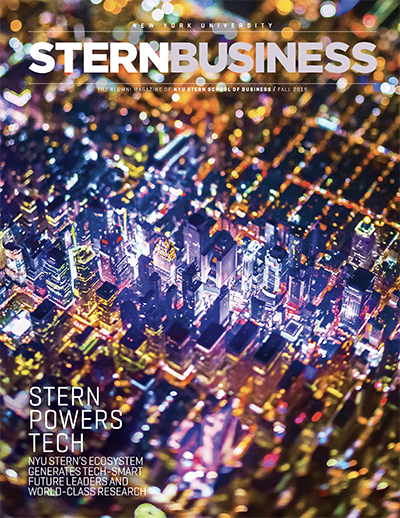 The Fertitta brothers created and funded the Fertitta Veterans Program in 2016 at NYU Stern with a gift of $15 million. Believed to be the only program of its kind at a US business school, the Fertitta Veterans Program includes scholarships, career programming, access to corporations and alumni, engagement with veteran alumni mentors, and social activities for military veteran and active-duty students entering the Full-time MBA program. SB: What was it like growing up in Las Vegas and in that environment, working with your dad and your brother? LORENZO FERTITTA: The casino business was our family business. My dad had borrowed 400 bucks to get out to Las Vegas from Galveston, Texas. He worked on the strip in various roles, starting as a bellman and then he became a dealer and worked his way up—the perfect American story. But he was an entrepreneur at heart, and he had this idea that all the casinos at the time were either located on the Las Vegas strip or in downtown Las Vegas. When he and his buddies would get off work, they wanted to grab a drink, maybe even go gamble, but they didn’t want to intermix with the tourists. He wanted to create a place for locals, so he built a 5,000-square-foot casino. It had 100 slot machines, four table games, and 90 employees, and that’s how it started. Growing up in that environment, my dad let me sit in on meetings, so I got a chance to learn from a true entrepreneur how you think about the business, how you’re passionate about every single level of detail that’s involved. SB: What drew you to invest in Ultimate Fighting Championship? LF: My brother and I were closet fans of the UFC. Dana White, who ended up being our partner in the UFC and now runs it, started managing a lot of these guys. Dana called me one day and said, “I’ve been talking to the owner of the UFC. He’s looking to raise some capital or to sell the company. You should call him.” I started talking to him and he wanted a million dollars for half the business, so I offered him two million for the whole thing. Within about 60 days we owned the UFC. We had no experience with the business side of sports or combat sports, but we were passionate about it. We thought we could brand combat sports, so we took a branded approach. We put in a structure and ran toward regulation. Gaming was our base business, and the gambling industry is the most regulated industry on the planet, even more than banking. We understood how to deal with regulators and how important it is. So we took a leadership approach in trying to help craft those rules and regulations, and health and safety standards. For about five years we really struggled. We had to deficit-finance it, but we finally turned the corner in 2005 when we were able to get our product onto free television. SB: What were some of the lessons and challenges of building the UFC into the league it is today? LF: Being properly funded, having enough liquidity. You need to over-finance yourself, at least in the early days, until you are stable. The other thing is you’ve got to prepare for growth. As an owner you have to stay involved. Not in every little detail, but either myself or my partner approved every piece of advertising that went out—every commercial, every poster. We’re a marketing promotion company, and that commercial or that piece of art had to reflect our brand. SB: What do you look for and what type of environment do you like to create for people who work for you? LF: The type of people we like is—it’s kind of a cliché—but I call them “killers.” People that get up in the morning and they’re obsessive. By the time they get to the office, they’re ready to make something happen. SB: What advice would you have for graduating students? LF: No matter what you’re focusing on or what industry you’re in, you need to have an understanding of technology. Surround yourself with smarter people than you. And never do anything first for money. Do it because you love it. SB: What was the inspiration behind the Fertitta Veterans Program? LF: We visited a military hospital in San Antonio with some of our UFC talent. It was very tough to see what the veterans were going through. Through that and our involvement with the UFC, we got very involved with the military, and held several events on military bases that were broadcast live around the world. We donated all the proceeds to the Intrepid Fallen Heroes Fund. 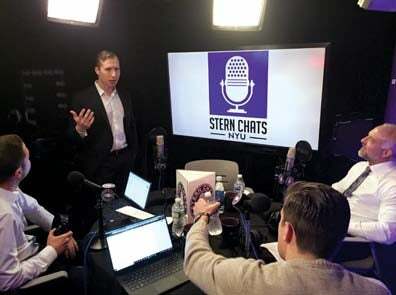 When I was talking to Dean Emeritus Peter Henry, I told him I wanted to do something significant for NYU and for the Stern School. And he and Dean Raghu Sundaram came up with the idea of the scholarship fund to help veterans be able to come to Stern. SB: So what’s next for you? LF: I’ve been involved with Red Rock Resorts, the casino company that my brother and I are a part of. Frank is the chairman and CEO, I’m the vice chairman. We acquired a property in October of 2016 called The Palms. It was really the first party hotel. We’re doing a pretty aggressive renovation, literally redoing every aspect of the casino, adding restaurants, new nightclubs, a new pool development. Also, my brother and I started a direct investment platform, a private equity group, called Fertitta Capital. We’re looking at various opportunities, trying to focus on things that we think we understand, like entertainment, technology, media, sports. We’re trying to be disciplined and wait for the opportunities. 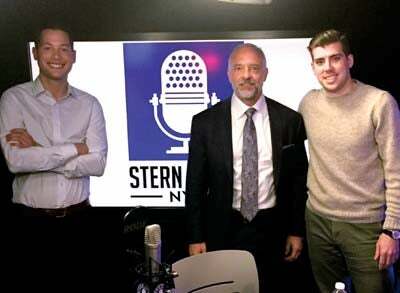 Lorenzo Fertitta (MBA ’93) was interviewed for a Stern Chats podcast by Steven Avila (MBA ’19) and Justin Katchis (MBA ’19) on May 23, 2018. Listen Here.